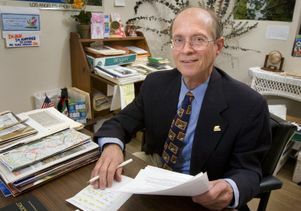 He and three former UCLA undergraduates — Sandra Elmgren, Chris Green and Ida Rystad —analyzed some 60 studies on detecting deception and have conducted original research on the subject. They present their findings and their guidance for how to conduct effective training programs for detecting deception in the current (April) issue of the American Journal of Forensic Psychiatry, which is published this week. • When questioned, deceptive people generally want to say as little as possible. Geiselman initially thought they would tell an elaborate story, but the vast majority give only the bare-bones. Studies with college students, as well as prisoners, show this. Geiselman's investigative interviewing techniques are designed to get people to talk. • Although deceptive people do not say much, they tend to spontaneously give a justification for what little they are saying, without being prompted. • They tend to repeat questions before answering them, perhaps to give themselves time to concoct an answer. • They often monitor the listener's reaction to what they are saying. "They try to read you to see if you are buying their story," Geiselman said. • They often initially slow down their speech because they have to create their story and monitor your reaction, and when they have it straight "will spew it out faster," Geiselman said. Truthful people are not bothered if they speak slowly, but deceptive people often think slowing their speech down may look suspicious. "Truthful people will not dramatically alter their speech rate within a single sentence," he said. • They tend to use sentence fragments more frequently than truthful people; often, they will start an answer, back up and not complete the sentence. • They are more likely to press their lips when asked a sensitive question and are more likely to play with their hair or engage in other "grooming" behaviors. Gesturing toward one's self with the hands tends to be a sign of deception; gesturing outwardly is not. • Truthful people, if challenged about details, will often deny that they are lying and explain even more, while deceptive people generally will not provide more specifics. • When asked a difficult question, truthful people will often look away because the question requires concentration, while dishonest people will look away only briefly, if at all, unless it is a question that should require intense concentration. • Have people tell their story backwards, starting at the end and systematically working their way back. Instruct them to be as complete and detailed as they can. This technique, part of a "cognitive interview" Geiselman co-developed with Ronald Fisher, a former UCLA psychologist now at Florida International University, "increases the cognitive load to push them over the edge." A deceptive person, even a "professional liar," is "under a heavy cognitive load" as he tries to stick to his story while monitoring your reaction. • Ask open-ended questions to get them to provide as many details and as much complete information as possible ("Can you tell me more about...?" "Tell me exactly..."). First ask general questions, and only then get more specific. • Don't interrupt, let them talk and use silent pauses to encourage them to talk.